The book follows Redlener's winding career, from his work as a pediatrician in the Arkansas delta, to treating child abuse in a Miami hospital, to helping children in the aftermath of 9/11 and Hurricane Katrina. The reader accompanies him to the board of USA for Africa, to cofounding the Children's Health Fund with Paul Simon, as he persuades Joan Baez to play a benefit concert for his clinic in rural Arkansas, and to dinner with Fidel Castro. But what has motivated him most powerfully are the children who struggle with terrible adversities yet dream of becoming paleontologists, artists, and marine biologists. These stories are his springboard for discussing larger policy issues that hinder us from effectively eradicating childhood poverty and overcoming barriers to accessible health care. Persistent deprivation and the avoidable problems that accompany poverty ensnare millions of children, with rippling effects that harm the health, prosperity, and creativity of the adults they become. 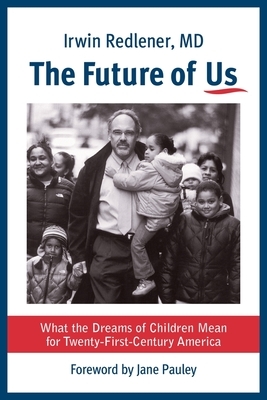 Redlener argues that we must drastically change our approach to meeting the needs of children--for their sake and to ensure America's resiliency and influence in an increasingly complex and challenging world. Irwin Redlener is president and cofounder of the Children's Health Fund and director of the National Center for Disaster Preparedness and the Program on Child Well-Being and Resilience at Columbia University's Earth Institute. He is also a professor at Columbia University's Mailman School of Public Health. Jane Pauley is a television journalist and author. She is the anchor of CBS Sunday Morning and was previously cohost of Dateline NBC and NBC's Today.